Dimensions: 5 1/2" x 6"
Plies 1 & 3 are 5 1/2" x 6" and ply 2 is 5 1/2" x 5 5/8". Forms are prenumbered during production so you need not specify numbering. You will receive the next sequential numbering in stock. Price shown is your NET price and includes your store personalization and store program or custom logo in black ink ($35 one time charge for custom logos). Top stub is your master I.D. label. Remove liner on back side of this stub to expose adhesive. This label is removable and/or repositionable and leaves no residue on most surfaces. The master and secondary labels organize and identify all of the special order or rain check items. Personalized labels in strips of eight and shrinkwrapped. 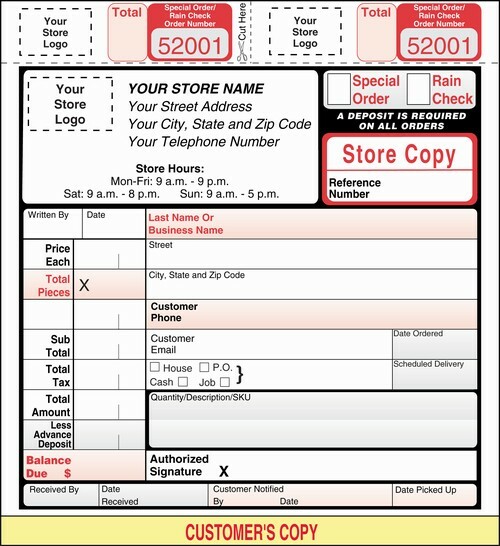 Secondary Labels are used on special orders or rain checks with multiple pieces. The reference number needs to be hand written in on secondary labels. Reference number then ties multiple pieces together. These labels look different and are smaller than the master labels so that one can distinguish immediately between master and secondary lables. 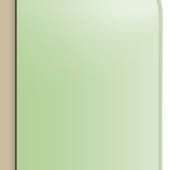 Personalized Secondary Labels are packaged 1,024 to a package and are sold separately for $56.00 per lot. For sturdy protection of your paperwork you can use Transparent Envelopes (Mfg. No. HDWE 3) that are specially sized for this Special Order/Rain Check form (transparent envelopes must be ordered separately). Dimensions: 5 1/2" x 10"
Plies 1 & 3 are 5 1/2" x 9 3/4" and ply 2 is 5 1/2" x 10". Forms are prenumbered during production so you need not specify numbering. You will receive the next sequential numbering in stock. Price shown is your NET price and includes your store personalization with your store program or custom logo in black ink ($35 one time charge for custom logos). For sturdy protection of your paperwork you can use Transparent Envelopes (Mfg. No. 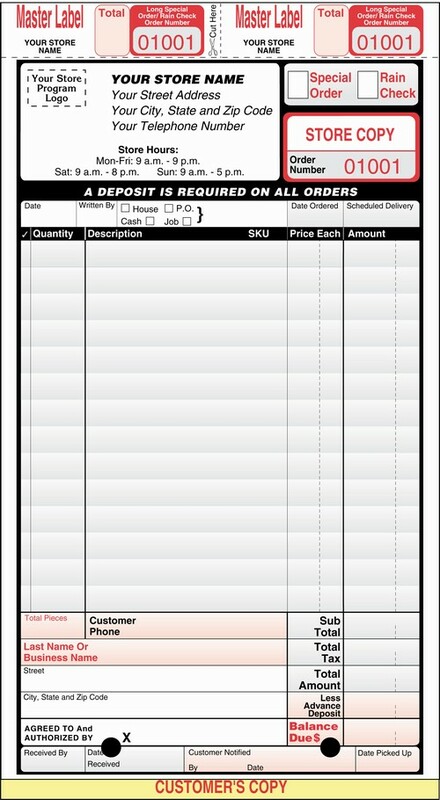 HDWE 1) that are specially sized for this Long Special Order/Rain Check form (transparent envelopes must be ordered separately).